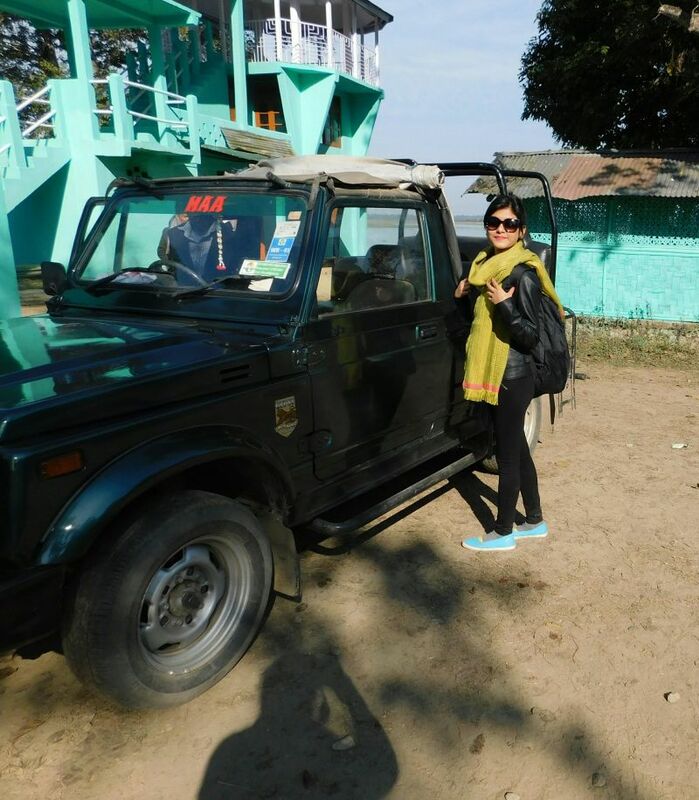 That’s me enjoying the Kaziranga Safari in park jeep. Being a native of Assam, I know my state in & out and would assure you on correct and updated information through today’s post. Either you can follow my suggested trail or build your own or even better feel free to contact me for any clarification you need & it’s FREE! I also organize group trips to Kaziranga for the authentic travel experience. Don’t forget to join our exclusive facebook group for all updates by clicking on the icon. I would suggest taking an early morning flight from your departing city and arrive Guwahati by late morning. The reason is you will have a full day to roam in awesome Guwahati or better I will guide you to world famous The Kamakhya Temple. If we stick to our plan, we will be reaching to Kaziranga by later afternoon and immediately you will be checked in to pre-booked comfortable hotel or resort. We are not going to rush in for safari today & I strongly suggest you relax & enjoy the calm and vibrant jungle around you. 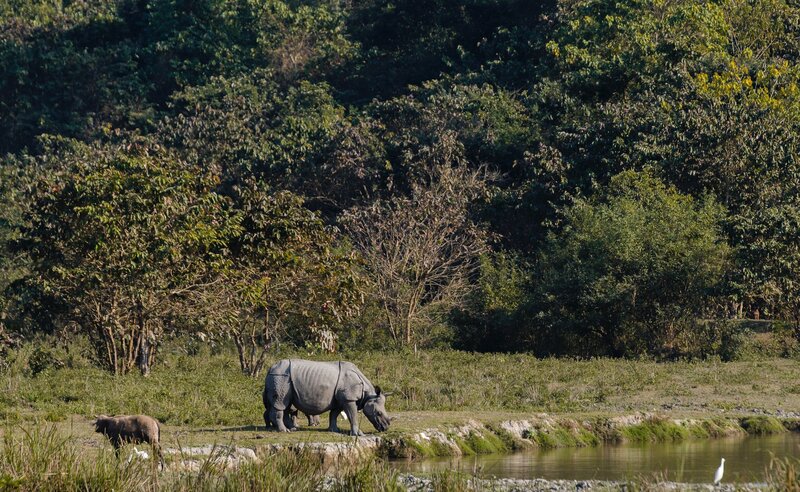 Listen to the stories of Kaziranga and Rhinos by the local and experience the magic of staying around them. After a great dinner, let’s do some brisk walk around the property and enjoy the environment excluding noise and air pollution. 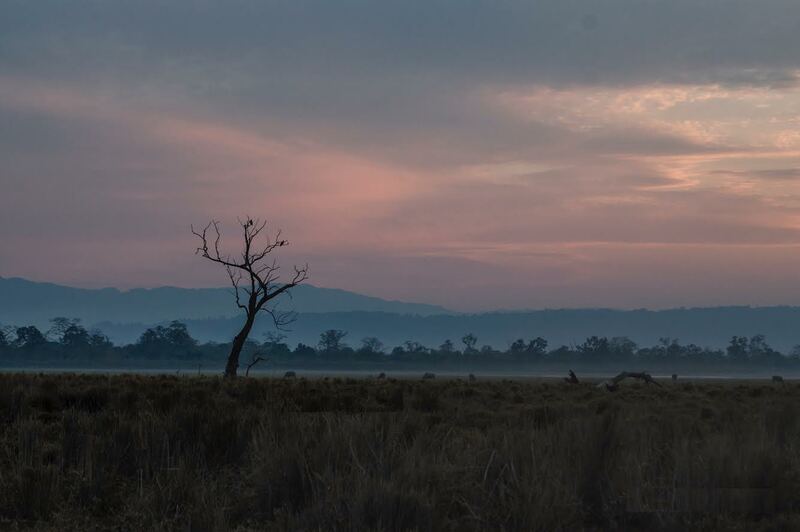 Before going to bed, remember we have to wake up the very early morning for your much-awaited Kaziranga safari. At 7 am sharp, we will enter the gates of the jungle. You are not allowed to take private vehicles beyond this point. We will have to go on pre-booked Jeep for the jungle safari. These trips take close to 1-2 hours. As we will go deeper into the wilderness, the view became more and more fascinating. Hear the songs of the birds and the smell of the wildflowers that will make it even more mesmerizing. Mostly after about 15 minutes, we might witness (not guaranteed though) the first Great One-horned Rhino grazing in the grass field in all its grandeur. What a sight it will be. At around 10 AM we will head back to our hotel/resort after a great sightseeing and enjoy our experience. Elephant Safari – 5:30 to 7:30 in the morning and 3:00 to 4:00 in the afternoon. The first place we will go to after the park safari was the Orchid and Biodiversity Park that is about 2 km away from Kohora.This place is a paradise for all those who love gardening. Spread across 16 bighas of land this Orchid farm, houses 500 variety of orchid species that is found only in northeast India. About 10 minutes away from Orchid Park amidst the serenity of nature, lies the quiet and beautiful Ethnic village. This village is a unique initiative taken by the Karbi Anglong Autonomous Council to showcase the lifestyle of the ethnic groups of the Karbi-Anglong district. About half an hour later and headed towards Guwahati. On our way back home, We will thoroughly enjoy the view of the lush green tea gardens on both sides of the road. You can stop by any of these gardens and talk a walk around, fancying the beauty of these gardens. There are many tea gardens and factories too around this area. If you love tea gardens, then a visit to one of these can be really fulfilling. Another fantastic place to visit here is the Kaziranga Golf Resort. This beautiful resort has been built in the heart of a tea estate in Jorhat. The golf course at this resort was designed by a leading golf course architect. The clubhouse also has a professional golf academy and a well-equipped golf pro shop. Reach Guwahati well in time before your pre-booked flight to your destination. In case you want to buy some nice local souvenir for your home and family, I will be happy to help & assist in buying the best one for you! Avoid useless packages, which confines & limit the authentic experience. You can get in touch with us if you want to know anything else about Kaziranga or Assam trip before planning your trip. We can help you with all your queries and even plan the trip for you and set you up with the local guides there. We do not charge anything for help. 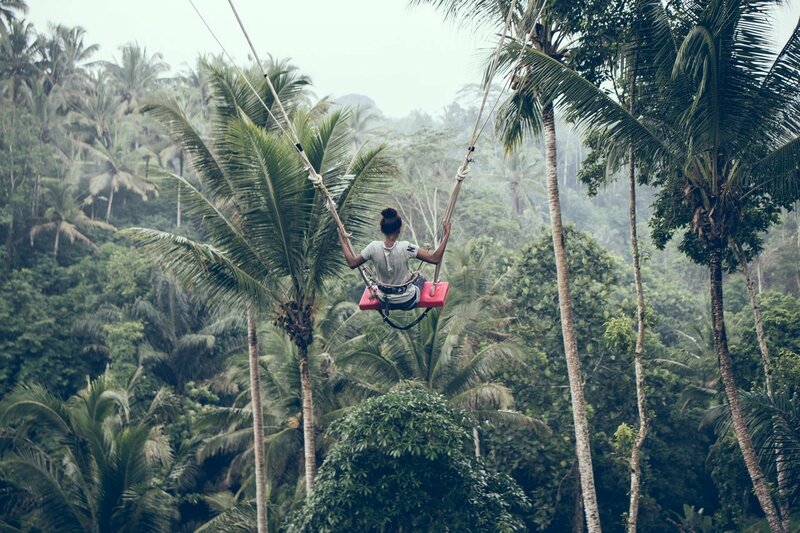 All we want is for you to have an amazing trip. So click on the link below and get in touch for more information. For your complete information and knowledge about the park, we have a dedicated page on Kaziranga National park. 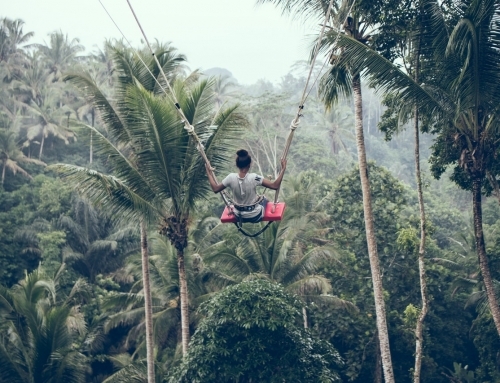 I understand how valuable it is to have the complete information about your next travel destination and so we created the exclusive page for your reference. Check out now! 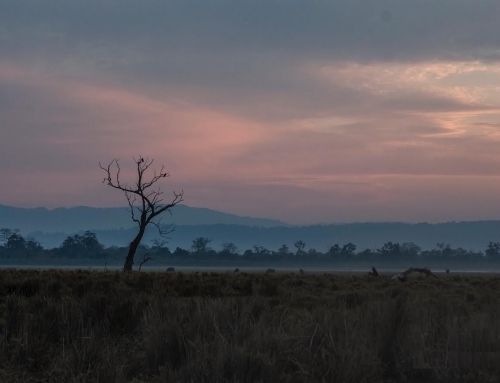 Dear readers, I hope the blog post answered some of the questions about Kaziranga Itinerary. Do you still have a question? Feel free to comment or rate us by clicking the 5 stars.